Moto G4 and G4 Plus are the latest Android phone from the Moto and in this guide, we will show you how to download and install Moto G4 and G4 Plus USB drivers. For any Android smartphone, it is essential you have the proper USB drivers are installed on your Desktop. IF the USB drivers are not installed don your PC then, you can’t connect your phone to the PC and not event transfer any file between them. In our detailed tutorial, we show you how to install and setup these drivers on your PC. Once the Drivers is successfully installed, you can easily connect your Moto G4 and G4 Plus with PC. The guide is pretty simple and all you have to download some files on your PC or MAC and run it once. The below mention tutorial is only for the Moto G4 and G4 Plus users and don’t follow this method for any other smartphone. Read all the steps very carefully and follow all the steps one by one your PC or MAC. Below mention method will work on All the Operating System Of Window and MAC. Step 1. Visit this Moto web page and Download the USB drivers on your PC and MAC. Step 2. 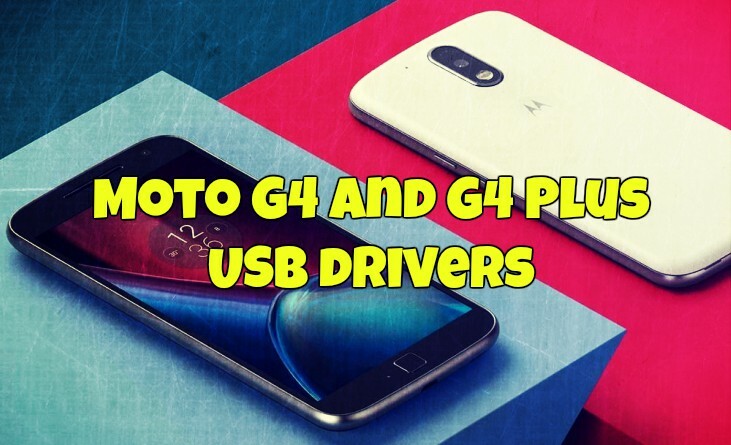 Once the Files is downloaded on your desktop, Run the file and follow all the instruction to setup the Moto G4 and G4 Plus USB drivers on your Windows PC or MAC. Step 3. Once the drivers are installed on your System. Connect your Moto G4 or G4 Plus with the USB cable. Step 4. Now wait for the phone to get connected and drivers to be installed. Step 5. Now you can see the Phone Internal Memory on Your System drive. And you are ready to transfer anything between the phone and System. Now for those of you who want to root the phone, Unlock the bootloader. You will need to have ADB and Fastboot drivers installed and working on your computer. Yes, these are different from the USB drivers, And this file will help you to run ADB command on your System. These files are mainly use to Unlock the bootloader of the Moto G4 and G4 Plus and Install Custom Recovery. Setup ADB / Fastboot Drivers From here. Hi I have followed these steps, downloaded the driver onto my computer but can’t actually find where it’s instaled to, and my mac still totally ignores my moto g4 when I plug it in. Any thoughts? Thanks, Ruth.